Bay Mechanical’s 32-foot oven allows us to handle powder-coating jobs of all sizes, and in more than 150 colors. 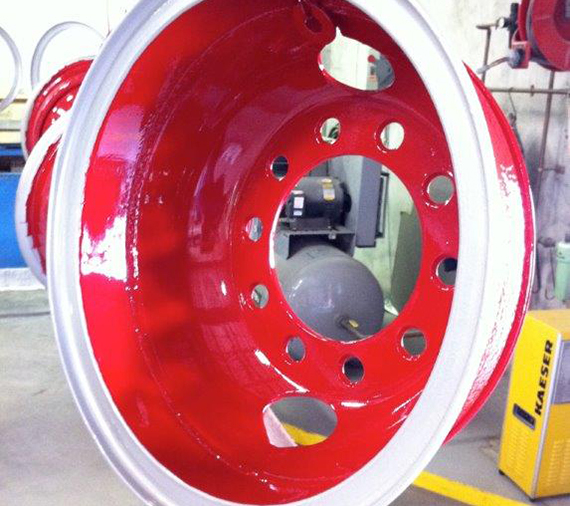 We can do wet paint or powder coatings. Powder coating is a “dry” painting process, where finely ground particles of pigment and resin are charged electrostatically and sprayed onto electrically grounded products. The charged particles, which stick to the products, are heated in ovens and permanently fused to the surface. The tough, attractive, durable and UV-resistant finish is used for thousands of consumer, agricultural and industrial products.